Lock in a great price for Ramada Encore by Wyndham Dandenong - rated 8.3 by recent guests. Good location. easy parking, basic but perfectly acceptable facilties, good location. Enjoyable breakfast and friendly staff. Just what we wanted and would happily stay there again. Spacious rooms with all the modern facilities you would expect in a hotel. The room service menu is small but very good. The staff are very helpful and always friendly. I’ve stayed multiple times. Room- clean, comfy and quite. Bathroom - well appointed and hot water was great Restuarant - delicious for dinner and breakfast! Staff - a delight Comeback - sure would! Friendly staff and all showed a passion towards hospitality. Price advertised was not honoured. Staff refused to rectify. 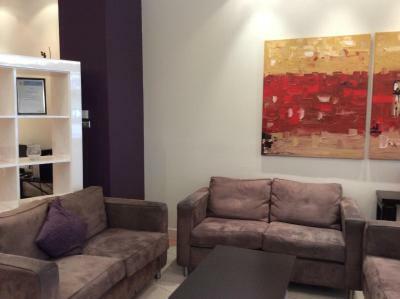 This 4-star hotel offers free Wi-Fi and free parking and is situated in the heart of Dandenong. Guests can enjoy a meal at the café, a drink at the bar or work-out at the fitness centre. A range of shopping, supermarkets, dining and amenities are a short walk from the property. The Dandenong Ranges are within a 30-minute drive away. All rooms and suites at Ramada Encore by Wyndham Dandenong offer a flat-screen TV with cable channels, a desk and a refrigerator. Ramada Encore by Wyndham Dandenong is a 3-minute drive from Dandenong Hospital, 16 minutes' drive from Sandown Racecourse and 30 minutes' from Melbourne's Central Business District. This property is also rated for the best value in Dandenong! Guests are getting more for their money when compared to other properties in this city. 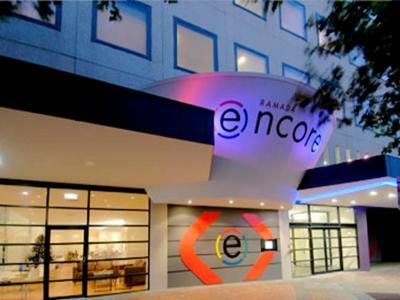 Ramada Encore by Wyndham Dandenong has been welcoming Booking.com guests since 22 Oct 2009. When would you like to stay at Ramada Encore by Wyndham Dandenong? Includes glass bathroom and city or Atrium views. Setting a new standard in hotel accommodation, Ramada Encore has a unique blend of contemporary design and exceptional hospitality. The design is fresh, stylish, vibrant and upbeat, offering 108 comfortable guest rooms suited to the corporate and leisure traveler. Ramada Encore prides itself on setting new standards, providing our guests complimentary secure undercover parking, in-room Internet access and wireless high speed connectivity to all public areas, and in-room tea and coffee making facilities. House rules Ramada Encore by Wyndham Dandenong takes special requests - add in the next step! A damage deposit of AUD100 is required upon arrival, which is about GBP54.97. This deposit is fully refundable 7 days after check-out as long as there has been no damage to the property. Bankcard Ramada Encore by Wyndham Dandenong accepts these cards and reserves the right to temporarily hold an amount prior to arrival. Ramada Encore by Wyndham Dandenong accepts these cards and reserves the right to temporarily hold an amount prior to arrival. A damage deposit of AUD 100 is required on arrival. That's about 54.97GBP. This will be collected by credit card. You should be reimbursed within 7 days of check-out. Your deposit will be refunded in full via credit card, subject to an inspection of the property. Staff were friendly and helpful. Room was clean. I found the pillows uncomfortable. I should have asked for others. Despite checking in very late, reception was attended and service was friendly. No Microwave in the room. Mini bar was too small. One thing let me down was the buffet , eggs only had one choice and extra charge for a different type of cookes eggs defeats the purpose of a buffet breakfast , sausages were over cooked and bacon burnt . Everything was great room was a bit smaller then expected but was very comfortable loved my stay loved the staff very friendly.